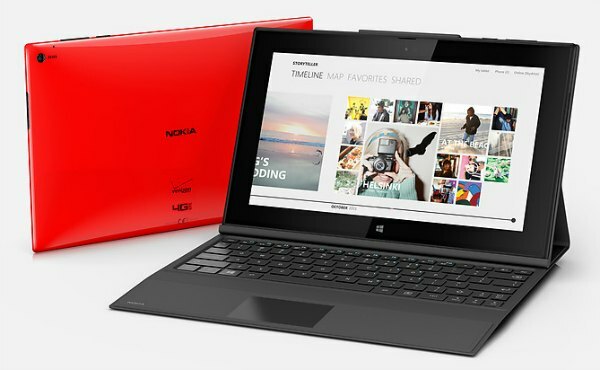 This attractive, 10.1-inch tablet looks every inch the Nokia device, sharing design elements and colors with the Lumia smartphone line. The screen is beautiful with a pixel-dense 1080p resolution. A 6.7-megapixel camera on the back promises decent images. And, the 2.2GHz Quad Core Qualcomm Snapdragon 800 processor inside is the same one driving the new Lumia 1520 phablet. All of this is great on paper, but I somehow doubt many people are going to run out and buy this attractive machine. Why? Because it runs Windows 8.1 RT. Cue record scratch sound. For those of you who don't know what Windows RT is (lucky you), let me give you a very brief rundown. RT looks just like the Windows 8 on your desktop or laptop and on many fronts acts the same way, too. Except when it comes to software. You can only use apps designed specifically for Windows RT, all of which are found in the Windows app store. Want to install the apps you've been using for years? Too bad. Unless there's an RT version, and even then you'll have to pay again if it's not free. There aren't a ton of apps available for RT, either. And if you've ever peeked into the app store, you know that it's still a mess even at more than a year old. This is why you haven't heard much about Windows RT. It's not the best idea Microsoft ever had. And most companies that make Windows tablets are staying as far from RT as possible. They're opting for the regular Windows 8.1, instead. Not Nokia. Nokia is deeply tied to Microsoft, and Microsoft is deeply tied to the idea of Windows RT even though it's a bad one. Thus, we get the Lumia 2520. Admittedly, there is some hope for this tablet if Nokia can capture the attention of the Windows Phone crowd. The Lumia branding means the 2520 will get all the extras that the phones get, such as Nokia Music and HERE Maps. And since the tablet will come with LTE built-in and no Wi-Fi version (for right now), you may be tempted to think of it as a big phone. If you're not down with that mindset, the 2520 may well end up being a big disappointment. It's a shame, really, because the 2520 looks like it could be a sweet tablet. The hands-on reports coming from Nokia World note excellent build quality, that the tablet is comfortable to hold, and that the screen is bright and should be visible in multiple lighting scenarios. I like that it has a USB 3.0 port, yet remains pretty thin. I'm also glad to see that Nokia made a $149 Power Keyboard case that's slim yet adds extra battery life and USB ports. The $499 base price tag isn't ridiculous for a 10-inch Windows tablet. It's just high for a slate with the drawbacks of RT. 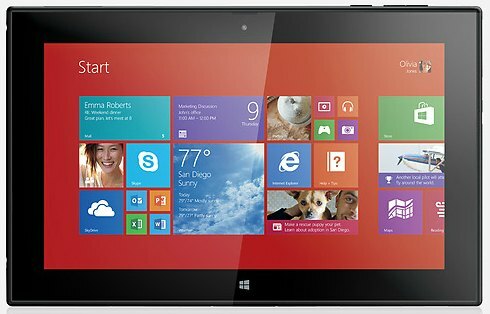 The Nokia Lumia 2520 will be sold with AT&T mobile data in the US and come out sometime in the next couple of months.